1. 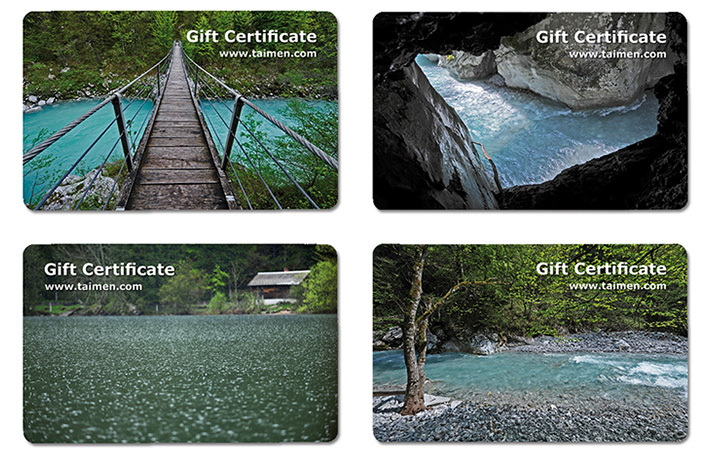 Purchasing a gift certificate in our store: this gift certificate entitles the holder of the gift certificate to make a purchase in our store in the amount of the value of the gift certificate. You can use one gift certificate for multiple orders, until the value of the gift certificate is exhausted. To put it simply - the perfect gift. You will receive the gift certificate after your payment has been recorded on our bank account. We will send it to you by post or in a letter. Upon receiving a gift certificate this will also show on your account in our store. If the gift certificate was purchased as a present, your account will only show information on the purchase of the gift certificate. 2. You can receive a Gift Certificate if you purchased the item marked Gift Certificate. This gift certificate is assigned to your account, only you can make payments using this gift certificate, and the time you have to use the gift certificate you received from us may be limited. For gift certificates you received from us in exchange for the purchase of a particular product, you will have access to the history of orders which used gift certificates.